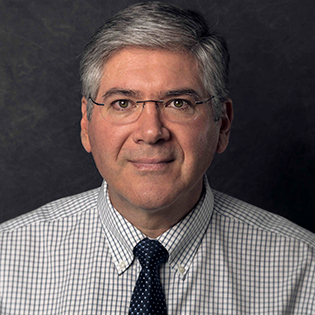 Dr. Jeff Zivick is a Large Facilities Advisor in NSF’s Large Facilities Office (LFO) providing project management assistance and assurance to large scientific facilities and is the office lead for risk management. He has over 15 years of engineering and project management experience in design, construction, and operations of major scientific research facilities. At Cornell University, Dr. Zivick was the project manager for the Cornell Caltech Atacama Telescope and at the National Radio Astronomy Observatory he was the project manager for the Atacama Large Millimeter and submillimeter Telescope (ALMA) antennas. He also has numerous years of experience working in the defense and commercial communications industries. Dr. Zivick received a B.S. in Electrical Engineering from the University of Akron, an M.S. in Electrical Engineering and an M.B.A. from the Virginia Polytechnic Institute, and his Doctorate in Management from the University of Maryland. He received his certification as a Project Management Professional and a Risk Management Professional from the Project Management Institute and Certified Risk Management Profession from RIMS. This session will discuss future NSF expectations for Recipient organizations to identify Key Personnel who have the qualifications to fulfill a set of core competencies considered necessary for successfully managing an NSF major facility award. Based on input received from the 2018 Large Facilities Workshop, the team approach will be used for meeting the suite of competencies and qualifications and may include a combination of experience, education, training, or certifications. Competencies will also depend on the life-cycle stage of the project (Design, Construction or Operations). The draft set of core competencies has been developed based on industry best practices and those for agency staff as required by the Program Management Improvement and Accountability Act (PMIAA). As part of this session, attendees will be encouraged to provide feedback to NSF on drafting of this new section in the Major Facilities Guide (MFG).